Many thanks to Kim Lee from Kim’s Cravings for creating such yummy recipes with Coach’s Oats. All we have to hear is “blueberry muffin” and instant smiles light up our day 😁 ☀️. 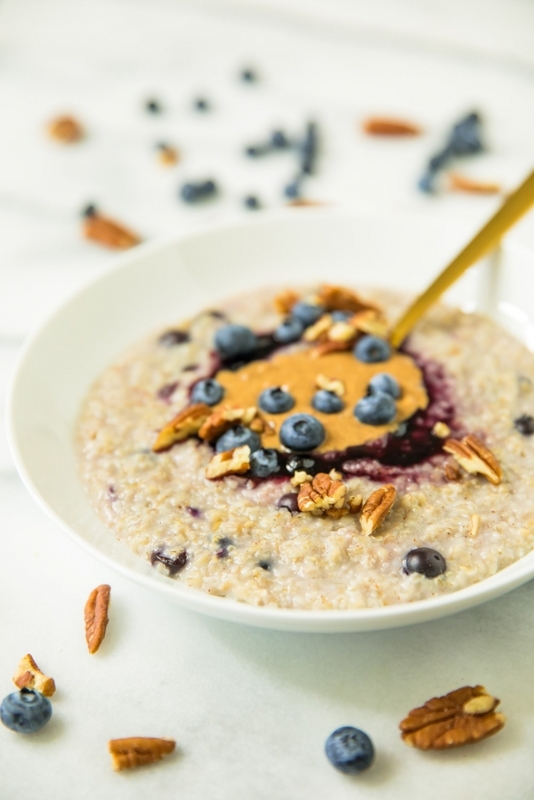 The blueberry jam gives this bowl the indulgent flavor bursting from the classic morning pastry. 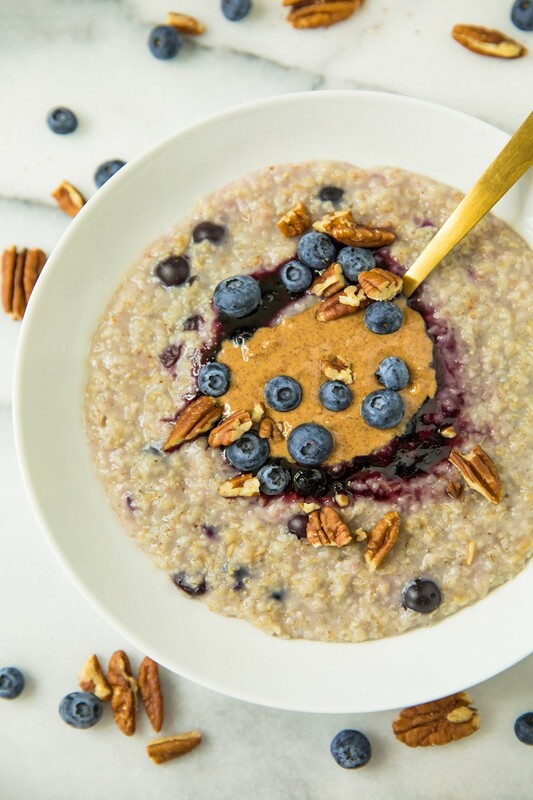 In a small saucepan combine oats, water, cinnamon and ¼ cup of blueberries. Simmer until water has absorbed into the oats, stirring frequently to prevent burning, about 4 to 6 minutes. Place into a small bowl and add toppings. Add additional toppings or sweeteners as desired.